Media Release: Lady Sherlock Holmes, Nazi Germany and der Kabarett! This August, get carried away to an underground Berlin cabaret with A Scandal in the Weimar by wit incorporated. This world premiere sees a reimagined Lady Sherlock Holmes and her companion, Dr Jean Watson, travel to Berlin to track down Irene Adler and retrieve sensitive information. With all the action and mystery of a Sherlock Holmes story, with the seduction and wonder of an underground 1930s cabaret, this show is not to be missed. See it at Bluestone Church Arts Space from 25 August to 9 September as part of Due West Festival. Written by Jennifer Piper and Claire Bowen, and directed by Belinda Campbell, this is the latest offering in the company's commitment to creating a year of works by women, with a focus on representation. "It's really important to us that we're telling stories that represent the world around us," says actor and writer Jennifer Piper. "This is not just about getting women on stage – it's about making sure those women (and the characters they play) are as diverse and as interesting as the women we see on the street. "So our characters have differing cultural backgrounds, habits, sexualities and political views. They are flawed and human and so much more than whatever their tick-box on a census would be." The characters are based on those in Sir Arthur Conan Doyle's short story, A Scandal in Bohemia. Any other characters are historical figures, including villain, Diana Mosley, whose husband was the head of the British Union of Fascists. "It's a fun night out," says Piper. "We might comment on the state of world and the darkest sides of human experience, but this is not a philosophy lecture. You can dress up and feel like you're part of the underground resistance, or just show up and enjoy the show." As part of Due West Festival, you can join the Kabarettisten after the show for der Kabarett and be part of Berlin's cabaret scene in the 1930s. wit incorporated is not new to gender flipping. 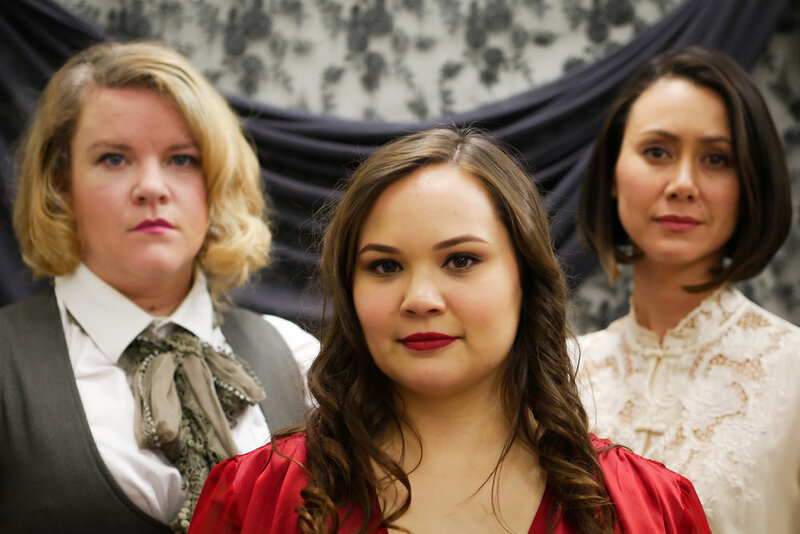 Shakespeare OZ said on their gender-flipped Macbeth last year, "...it explores the universality of the roles in all of their passion, vulnerability and conflict while also exploring a reversed landscape of both gender stereotypes and historical power dynamics."